Some times you wish there was a way to monitor objects in a app while it is running to check for potential problems, or just to troubleshoot a problem. Well JMX can do that and much more. JMX can also do notification for example if a Queue is full or database is out of space, things like that. But I wanted to get started with just being able to monitor an object whenever I wished to. The example used here is an application which is basically a Socket server serving clients with data from a queue. The use case here is to look at the app and query for number of clients connected or number of objects in the queue. pretty simple huh? Here is the code for the app. We will use JConsole to connect to the app process and invoke the operations defined. Now you might say that this can be done by logging the information (queue size and number of clients). True but like I said earlier using JMX gives you a way to check on things at runtime. also you could have an operation to clear the queue for a secure user (how? check for later posts!). Also why do you want to waste cpu cycles and disk space to keep logging stuff which you may or not look for. The Java artifacts you need are an interface that declares the methods that you want to expose, a class that implements that interface. That's it. 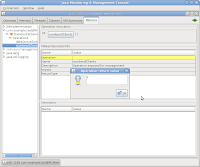 TestJMX.java is just to create and register a JMX bean. * Helper class to handle each client as a separate thread. //loop through each client and write to it. //check if the socket is active. DataSocketServer.log.info("Sending data to client "
DataSocketServer.log.info("Removing client from list : "
* Socket wrapper for each client. Now run the TestJMX java class. connect to the socket server using telnet/netcat or any of those tools. Many a times it has happened that a Java app froze and I needed to take a thread dump to look for deadlocks or any other issues. In this case you need to perform a Thread dump on a running process. Using kill command with argument 3 produces a Thread dump, but the output goes to the stdout of the process, Which could be a console on your favorite IDE. What if the IDE is frozen too? Well in that case using the /proc command comes in handy. ls /proc lists all the processes running on the system currently. Say we want to take a thread dump of a java process (PID 24772). /proc/24772/fd/1 gets you the stdout interface of the Java process where 1 is the file-descriptor for stdout. You should see the thread dump output like this.. 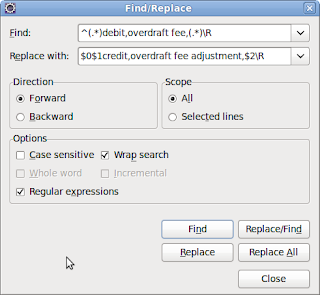 Regular expressions come in very handy for searching and replacing texts in data files. 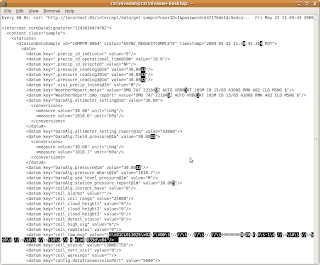 Most IDEs (eclipse on which this was tested) and text editors (TextPad, JEdit, etc.) support regular expressions. 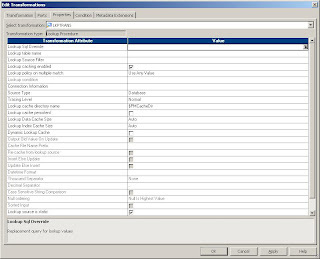 Take for example an input data file that you need to create/modify. The data is about bank transactions conducted on accounts. The regular expression . *overdraft fee. *\n will get us the line containing overdraft fee. But we also need the timestamp at the beginning of the line. So let's refine the search string by adding a group. So everything from the start of line upto debit forms group 1, which is the timestamp and account number. 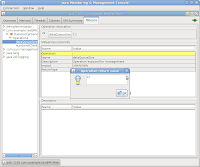 search for jdic and download both libjdic -java and libjdic-bin packages. download the linux distribution from here. You should see a linux folder which has jdic.jar and some .so files. Here is a code example for creating a tray icon. // Construct the GUI for balloon message. 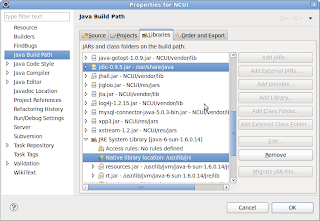 For this to work, you need to add jdic jar to the build path and also add share library files location(/usr/lib/jni for the first case and /home/myuser/jdic/linux for the second) to the native library path for the project as shown in the picture below . I have a dual booting linux system at work. I share the java projects (located on the windows partition) on both windows and Linux. But when I launch eclipse, all the projects show up closed since the windows partition is not mounted yet. The solution to this is to mount windows partition at boot up time. To mount a windows partition at startup, you need to do the following. /dev/sda2: LABEL="GHOST DATA" UUID="FCF8-3D81" TYPE="vfat"
Note : both ntfs and ntfs-3g works fine for a windows partition. The options for fstab are clearly explained in the ubuntu help docs here. It took me a while to get the build script working for Flex. I started out by googgling for them. Took some scripts out there and put it together. But ran into some errors like"Unable to transcode swf", "Out of memory heap space". Having fixed them all, wanted to share what i ended up with. One compile error I was getting regularly was for embedded objects like swf or image files. Care needs to be taken to make sure that the paths are correct. For example inside a class which is deep in the source package tree, the path needs to be absolute. But for mxml files at the root level, relative paths are OK. Flex builder IDE or eclipse with Flex plugin will not raise a compile error for this issue. Only an ant build script will do that. FLEX_HOME environment variable needs to be set to the flex sdk directory. Also the mxmlc compile task can take a lot of memory, so added maxmemory attribute to take care of that.You need to use fork=true (launch it's own jvm process instead of running under ant's jvm). title="Welcome to My Flex App"
Separate mapping/session to get all pid from a file and load the pid's in a relational table(load_result table). The table could consist of the following fields.. pid, datawarehouse transaction datetime, completion_status(with a status of 'I'). Call your next dummy session to load staging or fact tables from post-session command(components tab). The Link between param file(step 2 above) and next dummy session (step 3) should say. Previous_task = succeeded and previous_target_success_rows > 0. (We want to call the next session to load data warehouse tables, if only the param file has any pid in it). 5. The link in step 2 will help the process continue if there are any pid's left in lod_rslt table. If all pid's are done, the session should complete gracefully and send an email. Ever wanted to extract some metrics from log files and group the results. Also print the count for each group. All this without using a loop statement!!! Just using command line. Here is how it can be done. In the results, the first number is the count and the second is the group. For starters here is a bit of explanation...The grep is looking for the string Failed to connect in service.log file. sed is used to make a group. In this case it is the station number. Then the results are sorted, finally uniq gives the unique rows and the -c gives us the count for each group. BTW this was done on Ubuntu. Regular expression is quirky enough. On top of that it's different for each platform. Even text editors have their own flavors. One way to keep your sanity is to have a cheat sheet for each environment. Here is one for Java and a generic one. Applications which are time sensitive or store and process data that is periodic need to keep up with the Real Time clock (RTC) (hardware clock). Time servers can be used to synch the system clock with external time servers (for example www.nist.gov) but there is no way for applications to synchronize the system clock with the RTC. Typically at startup the operating system (read windows) sets the system clock to the RTC. After that the operating system generates interrupts(depending on the flavor of windows it could range from 10 ms to 15 ms or more) to update the system clock. Also if Windows finds the time lag between the two clocks to be at least 1 minute (Where exactly this value is set is not known publicly!!! ), then it resets the system clock to the RTC. But if you want to keep up the system time much more accurately (say 100 ms, then there is no way to do that. ClockMon is a simple utility app that can be used to monitor the two clocks or resync the system clock when it drifts away from the RTC. It is a free program that can come quite handy when troubleshooting clock drift issues in applications running on Windows platforms.